It doesn’t take a rocket analyst to work out why sheep and lamb prices have been sliding for the last month. The Eastern States Trade Lamb Indicator (ESTLI) this week broke through the 600¢ mark as the supply of stock direct to works appears to be reaching a peak. Figure 1 is not a pretty sight for livestock or grain producers in the wheat-sheep belts of Australia. In particular the Riverina had its lowest rainfall June on record, and this is a time which is usually pretty reliable. It wasn’t supply at the saleyards which saw the ESTLI and National Mutton Indicator (NMI) tank this week. Figure 2 shows that lamb supply at saleyards fell heavily, and the story was the same for sheep. Regardless the ESTLI lost 47¢ and Mutton 39¢ with the ESTLI at a 6 month low of 578¢/kg cwt, and the NMI a four month low. 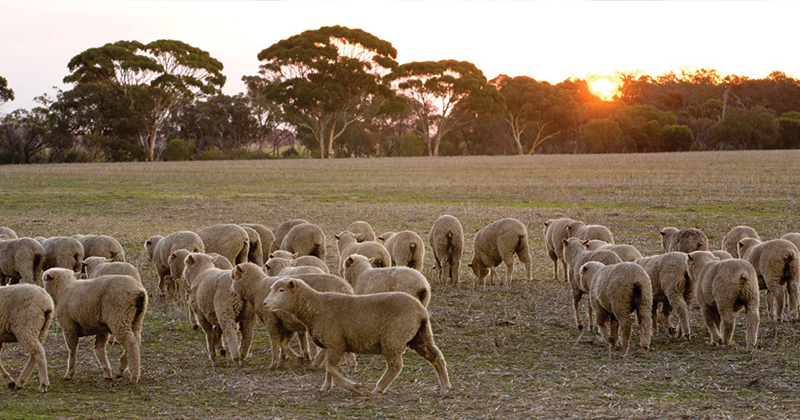 The fall in saleyard supply back up the anecdotal evidence of processors being booked up with sheep and mutton flooding out of the NSW and Northern SA as the dry begins to bite, and prices remain historically ok. This is at a time when at least one major processor is shut for winter maintenance. Given the state of the flock, and the flock rebuilding intentions, it’s likely the rapid decline of the last month will come to a halt soon. Old season lamb supplies have to be close to exhausted, and new season stocks are a slow build from now on. Expect sheep and lamb markets to find a floor soon, with further declines to come in late August and September if the season doesn’t turn around.